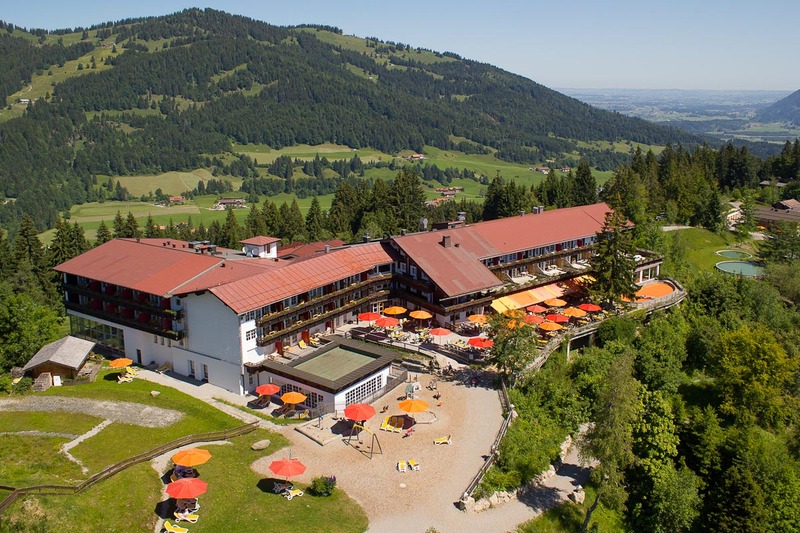 Experience summer holidays with your children in Bavaria in the Allgäuer Berghof - the family-friendly children's hotel in the Allgäu! Every season is beautiful in its own way. In summer, however, it is especially nice when the sun is out of full force and the days are longer. Numerous activities invite you to linger outdoors. Enjoy the light, summery breeze that blows around the high-altitude Allgäuer Berghof and provides a pleasant refreshment during your summer holiday in the Allgäu. The clear, warm water in the nearby mountain lakes invites you to swim and play. See farmers harvest their crops so it smells of fresh herbs and hay everywhere. A time that must have been experienced in the Allgäu! Immerse yourself in the fantastic mountain world thanks to the outdoor infinity pool and plan your summer holiday in Bavaria with the whole family. Our animal world around the Allgäuer Berghof offers great adventures during the family holiday in the Allgäu, in particular for your kids. Go for a walk to the nearby huts with your family, surrounded by butterflies and rare plants and flowers. Enjoy the family summer holiday in the Allgäu. Play tennis or soccer, - our Allgäuer Berghof offers plenty of opportunities to play sports and be active during your family holiday in the Allgäu Alps. From the youngest ones to grandpa, they are all welcome here! We and our 95 cheerful Berghof-employees are looking forward to your visit!